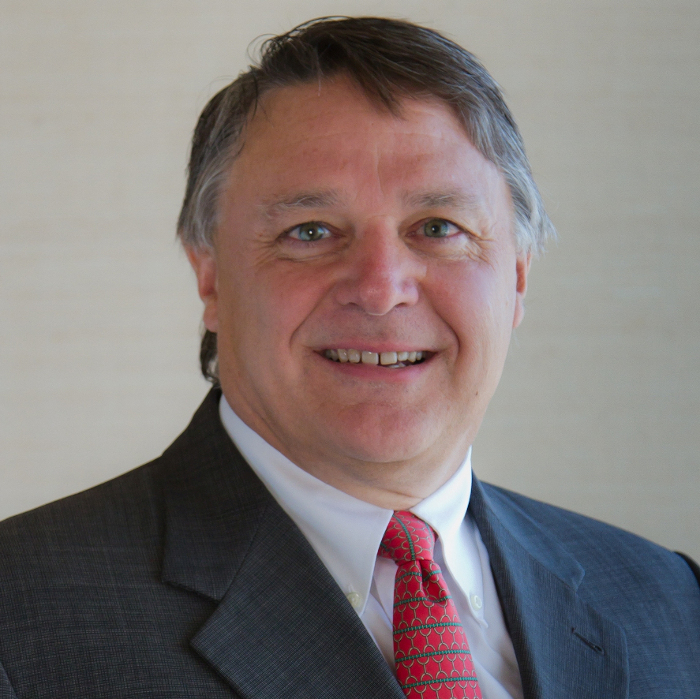 Mr. Tull is a founding member of Quattlebaum, Grooms & Tull PLLC. In over 100 jury trials, Mr. Tull has served as lead counsel on behalf of large and small businesses and individuals in cases involving business torts, breach of contract, products liability, toxic torts, environmental litigation, securities fraud, franchise disputes, trade secrets, personal injury, First Amendment, and other matters. Mr. Tull serves as general counsel for the Arkansas Press Association and instituted the Libel Hotline for the Association. Mr. Tull is the recipient of the Distinguished Service Award (2006) and the Freedom of Information Award (2018) from the Arkansas Press Association. Upon graduation from Vanderbilt University in 1980, he served as a legislative aide to former United States Senator David Pryor. 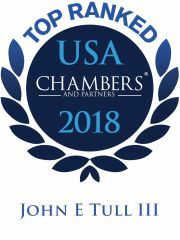 Mr. Tull has been named one of the leading business litigation lawyers in Arkansas by Chambers USA’s Guide to America’s Leading Lawyers for Business since 2004 and Super Lawyers since 2006. He is listed in The Best Lawyers in America® in the areas of Bet-the-Company Litigation, Commercial Litigation, First Amendment Law, Litigation – Banking & Finance, Litigation – First Amendment, Mass Tort Litigation/Class Actions – Defendants, Media Law, Personal Injury Litigation – Defendants, Product Liability Litigation – Defendants, Product Liability Litigation – Plaintiffs, and was named Best Lawyers’ 2012 Little Rock Litigation – Banking & Finance Lawyer of the Year, 2014 Little Rock Litigation – First Amendment Lawyer of the Year, 2016 Little Rock First Amendment Law Lawyer of the Year, and 2017 Little Rock Product Liability Litigation – Plaintiffs Law Lawyer of the Year. Mr. Tull is recognized as one of the Top 50 Super Lawyers in Arkansas by Super Lawyers and listed as a Local Litigation Star for Arkansas in Benchmark Litigation. Mr. Tull is a Fellow of the International Academy of Trial Lawyers and the American College of Trial Lawyers. He is rated AV Preeminent® by Martindale-Hubbell. The successful defense of a company against securities and fraud allegations in a jury trial that lasted ten weeks. The successful defense of a major service provider in a breach of contract and wrongful discharge action. The prosecution of an interference with contractual relations and violation of Deceptive Trade Practices Act action for a service provider. A jury trial resulted in a judgment for compensatory and punitive damages in favor of this client. The defense of a manufacturer in breach of contract and promissory estoppel claims. Trials resulted in two defense verdicts. The defense of several banks in lender liability actions. The representation of individuals and corporations in a wide variety of business litigation matters, including antitrust, franchise act violations, deceptive trade practices, and securities fraud. The defense of a computer company in a libel and conspiracy case which resulted in a defense verdict after a trial of four and a half weeks. The defense of newspapers in several cases, including the publication of wrong photographs. Four of these went to trial, with three defense verdicts and one modest recovery. The defense of numerous libel and slander cases for national and local television networks, newspapers, and magazines. The defense of manufacturers of welding consumables in numerous actions involving claims of neurological injury from exposure to welding fumes. The defense of major herbicide manufacturers in a number of cases including claims of personal injury and crop damage resulting from allegedly excessive drift propensity of a herbicide. The defense of numerous agricultural aviation services including claims of negligence and breach of warranty. In addition to handling civil cases, Mr. Tull has represented numerous agricultural aviators and other parties before the Arkansas State Plant Board. The defense of numerous industrial and agricultural equipment manufacturers and suppliers in cases involving economic loss or traumatic injuries. The representation of a class of investors against an insurance company, which resulted in a rescission of their original investment for the investors. The representation of individuals and businesses who have sustained personal injuries and business damages. The representation, with Mr. Quattlebaum of the firm, of an individual and his business in a lender liability action resulting in a verdict in excess of $10 million. The representation of companies in cases alleging negligence and product shifts in 18-wheelers resulting in fatal accidents.